Travel back to ancient times on this 4-hour tour of San Pedro de Atacama and discover the fascinating history of the Atacama people, who have inhabited the desert town since 300BC. Get an insight into the region’s rich heritage as you visit Tulor, explore the archeological site of Pukará de Quitor and view the national monument of Church of San Pedro. This morning tour includes hotel pick-up. 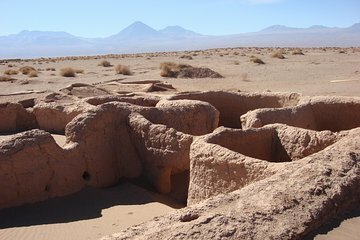 A short, yet pleasant tour that gives a good insight into Atacama history.